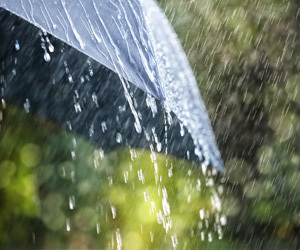 Did April Showers Mean Moisture Problems for Your Crawl Space? Spring rain and thaw can reveal problems in your crawl space that may have gone unnoticed over the winter. Here are some common problems found in crawl spaces this time of year, and how insulation can help! Drainage problems can wreak havoc in your crawl space. This contributes to a host of other problems and can lead to more significant problems including structural damage. Your home may need exterior grading to divert water away from the foundation, and sealing with spray foam can help as well. Wet/damp wood framing provides an excellent food source for termites, and other destructive insects. Air sealing and insulating your crawl space will prevent access points to your crawl space, as well as eliminate moisture and warmth factors that attracted the pests in the first place. Mold allergens in the crawlspace can move into the living spaces of the home and cause respiratory difficulties in individuals with allergies and asthma. If mold is found in your crawl space it must be removed by a properly certified company. You can help by having your crawl space sealed before this problem starts. Although not included in your home’s square footage, the crawl space is still part of the building envelope. It has a direct impact on the air quality in the living area of your home. The natural airflow of a home is from bottom to top (ground to sky). As your home naturally breathes, the moist air (and everything in it) flows up and into the living areas of the home through your home’s floor and unsealed air penetrations (like ducts and flooring gaps from wiring, conduit, and plumbing). If there are indoor air quality issues in the crawl space, they are guaranteed to impact the living areas in the floor above. Air sealing and insulating your crawl space will improve the air quality in your home by eliminating the causes of the problems as well as sealing your home preventing air infiltration. Contact or call us today for a free estimate to air seal and insulate your crawl space. Or call us with questions about your crawl space issues. Author adminPosted on May 23, 2016 October 3, 2018 Categories april showers, crawl space problems, delawareLeave a comment on Did April Showers Mean Moisture Problems for Your Crawl Space?